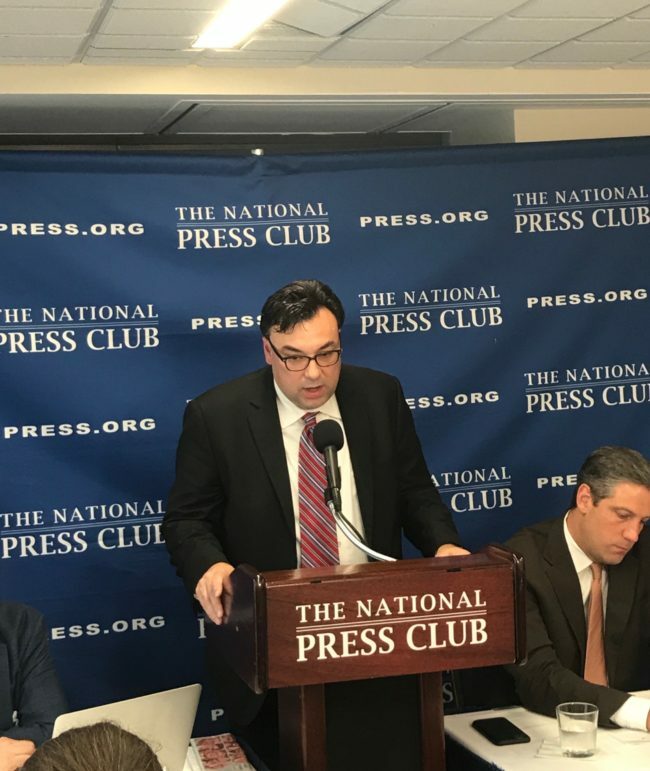 Jackie Schalit and Ken Rogers became the first NUHW members to address reporters at the National Press Club in Washington, D.C. 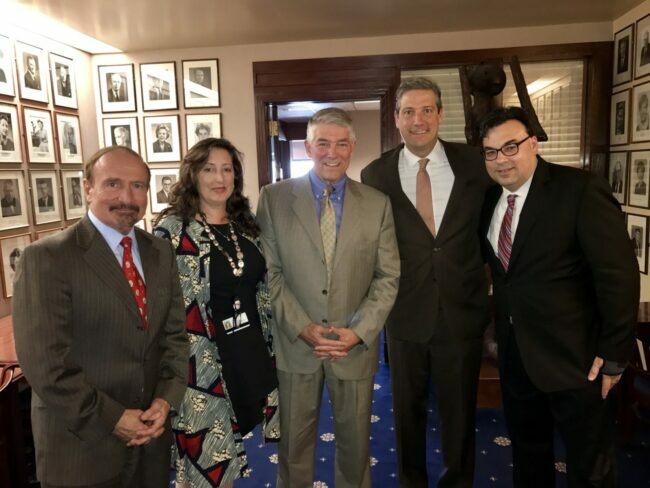 They were joined Monday by Rep. Tim Ryan, D-Ohio, a leading voice in Congress on addressing the nation’s opioid addiction crisis, and Culyer Costanzo, who works at an addiction treatment center in Ohio. Schalit, an infant mental health clinician at UCSF Benioff Children’s Hospital Oakland, and Rogers, a psychologist at Kaiser Permanente and an NUHW vice president, gave journalists a window into the challenges front-line caregivers face at this critical juncture for the nation’s mental health care system. They discussed the national shortage of mental health clinicians, the ongoing struggle to achieve true mental health parity, and the challenges of caring for families struggling with addiction. Schalit relayed her recent struggle to find an available treatment center to help a Bay Area man with a one-year-old child end his dependence on heroin. Rogers told reporters that “the opioid crisis is also a mental health parity crisis.” He added that curing the addiction epidemic requires stricter enforcement of mental health parity laws, more resources for substance abusers and more clinicians on the ground. Rogers said lawmakers should look at programs to help clinicians repay student loans. He also warned that repealing the Affordable Care Act would turn back the clock to when even more people dealing with substance abuse could only get treatment in hospital emergency rooms. Schalit and Rogers are joined in Washington, D.C. by fellow NUHW-represented mental health clinicians Elizabeth White and Mark Land-Ariizumi. 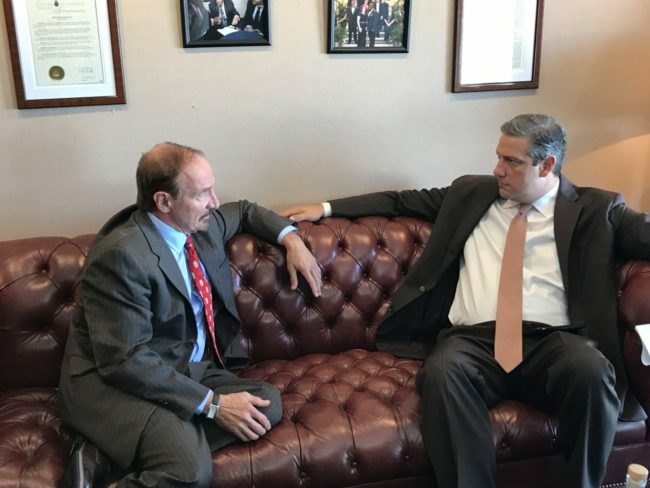 Along with NUHW President Sal Rosselli, they will be meeting with lawmakers through Wednesday about the opioid crisis and the need to devote greater resources to mental health care.